J.R.R. Tolkien’s never-before-published 1926 translation of the 11th century epic poem Beowulf will at long last be released this next month by HarperCollins. The work was edited by his son Christopher, who has also added textual commentary and historical background. According to Christopher, the elder Tolkien “seems never to have considered its publication.” He left it among his papers and notebooks along with numerous other unpublished manuscripts at the time of his death in 1973. This new volume will also include a story called Sellic Spell and excerpts from a series of lectures on Beowulf Tolkien delivered at Oxford during the two decades between the First and Second World Wars. Of course, avid readers will remember that Tolkien did publish one of those lectures, “The Monsters and the Critics,” in 1936. Indeed, that short monograph was described as “epoch-making” by no less an authority than Seamus Heaney in the introduction to his own hugely popular 1999 verse translation of Beowulf. Beowulf has been perhaps the most revered poem in the English language, at least since the 18th century, when the sole manuscript was rescued from fire and and translated and disseminated widely. This is more than a little ironic given the fact that Beowulf was not actually written in English—or at least, not in an English we would recognize—but rather in Old Anglo-Saxon. More akin to German than to English, the language was rendered entirely in runes. Moreover, the story is not even set in England, but instead in the Norse homelands of Scandinavia. 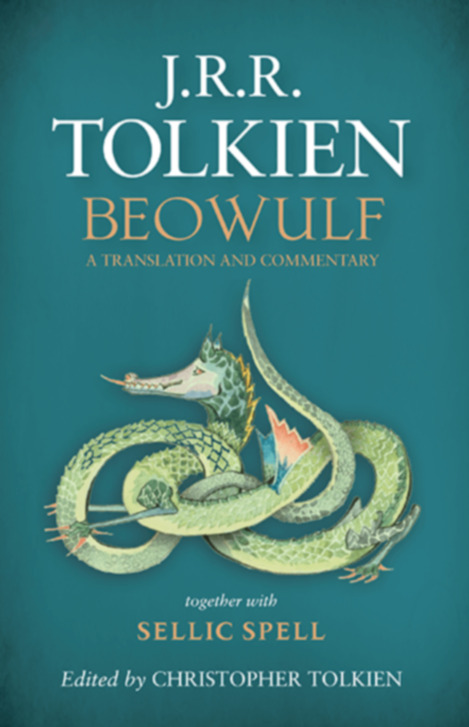 Tolkien’s almost universally beloved body of mythopoeic fiction was deeply influenced by Beowulf. So this translation will be a cherished gem for all serious readers of his work. in close under the cliffs. under cliff was their craft.